The RobotFX Team is building MetaTrader expert advisors, indicators and scripts that can assist traders take the right decision when trading forex, futures or stocks. While there's no such thing as 'holy Grail' when it comes to FX trading, our trading tools can help forex traders reduce the time traders usually spend analyzing the charts and greatly increase their chance of success by analyzing technical indicators and price information and trying to predict the price action. ☑	I agree with the T.O.S. RobotFX Auto Recovery is an expert advisor designed to recover the loss of a losing trade by opening an opposite trade, or more, if it’s the case. If you are familiar with, this is the trade management part of the RobotFX Fluid EA, with less features (HedgeZone). A very simple but effective way to hedge a losing trade so it will close if not in profit, at least at break-even. Basically it is a hedging expert advisor for MetaTrader. Check the picture below to understand how hedging works in forex trading. Mind that the lot size of the pending orders depends on the recovery zone width (the “RecoveryZone”) and the TakeProfit distance. Technically, the Auto Recovery EA places an opposite pending order at the Recovery Zone distance (in pips) from the opening price, using a higher lot size. This replaces the classic stoploss which, when hit, leads to a loss. If the price doesn’t go in your favor - and so TakeProfit is not reached to close the trade - but instead reverses and hits the pending order, that pending order becomes an active order. At the same time, the EA will open another pending order, at the same level with the first one and of the same kind, but with (again) a higher lot size. Some traders like to call this advanced zone recovery (the area between the opposite trades) (shortly ALR EA). The pending orders’ lot size is calculated so that the profit will always increase (if the price hits them and continues further). Eventually the price will break in either up or down direction and the basket will close when the profit reaches MinProfit - this is in dollars. You have the option to set the MaxOrders to limit the total number of opened trades and also to instruct the EA to close all of the trades (ForceCloseAtMaxOrders) regardless of the profit (can be negative). I LOVE THE NEW WEBSITE DESIGN ... and WHAT I LOVE THE ABSOLUT MOST IS THAT YOU ADDED CRYPTOCURRENCYS BTC FOR PAYMENT !!!!!! PERFECT !!!!! NOW IT WOULD BE AMAZING IF YOU GO ! STEP FURTHER AND MAKE BOTS FOR CRYPTO CURRENCYS ... 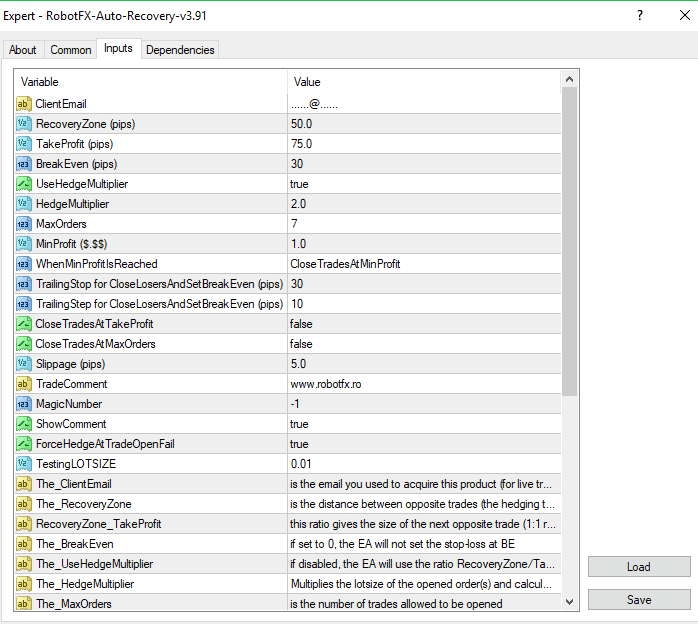 I WOULD LOVE TO BUY AUTORECOVERY BOT FOR CRYPTO AND I WOULD PAY 3 TIMES THE COST OF WHAT IT IS COST NOW !!! Thank you. I believe it should wok on crypto just as it does on any other pair, as long as your broker provides crypto trading. Maybe download a demo version and try it. thank you for this site! is there a demo version that i can run and test? You're welcome. There is a Free downloads menu at the bottom of our site, just choose the product you're interested in there. Regards. 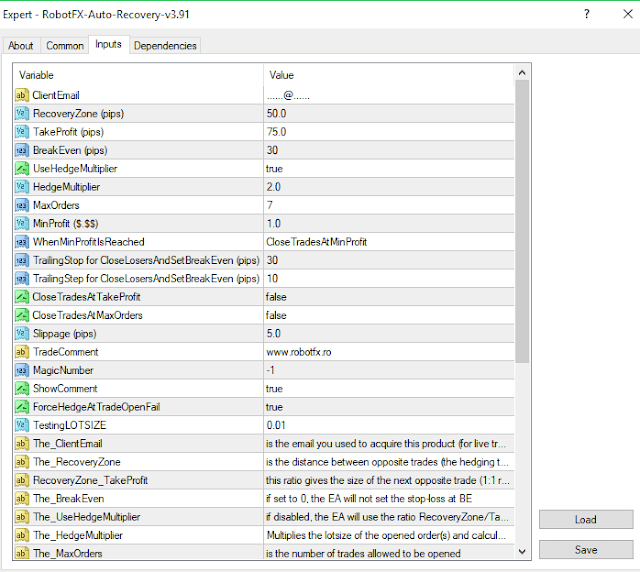 how much price of RobotFX Auto Recovery ? As stated on this page, the price is 114$. Please do not spam; the comments are verified before publishing. Become our affiliate. Refer a customer and get 5% from the price of each sale.